Italy's ruling coalition says it has resolved its differences over a controversial tax amnesty and now wants constructive talks with the European Union despite approving a budget that breaks EU rules. The coalition included the tax amnesty in measures to fund costly electoral promises that are set to lift the budget deficit to 2.4% of domestic output next year, flouting European Union rules that require progress towards a balanced budget. Earlier this week, Italy brushed off criticism from Brussels over a draft budget it labelled an "unprecedented" breach of EU rules. But speaking after a cabinet meeting that settled the amnesty dispute, Italian Prime Minister Giuseppe Conte said Italy had "a comfortable place" in Europe. Deputy Prime Minister Matteo Salvini said Italy had no intention of leaving the EU or the Euro zone. The government's spending plans prompted a credit downgrade by Moody's on Friday, which cut Italy's sovereign debt rating to one notch above junk status. 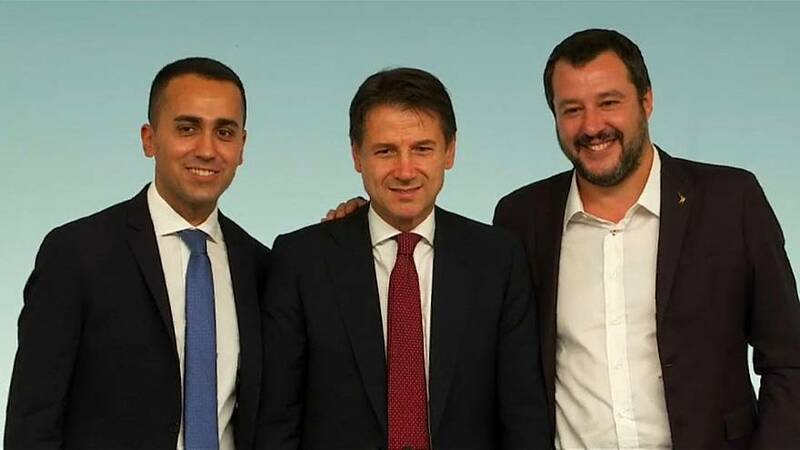 Deputy Prime Minister Luigi Di Maio had accused the League of tricking its coalition partner by surreptitiously broadening the scope of the amnesty in the final draft of the 2019 budget. But Salvini offered to drop the measure and a compromise was hammered out at a coalition meeting on Saturday. The proposed budget still contravenes EU regulations and the government has until midday on Monday to respond to EU concerns.